Preparations underway for new year celebrations in Baku, while amazing lights, decorations and eye-catching New Year trees in the city streets make everyone feel in a winter wonderland. 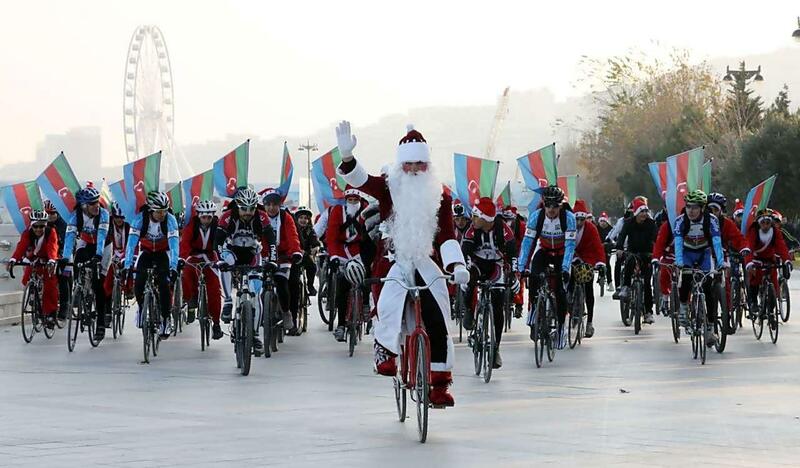 Aside from the delightful events and parties, Baku will host a charity bike ride "New year and Solidarity" dedicated to the New Year and the Solidarity Day of World Azerbaijanis, Trend Life reported. Co-organized by the Cycling Federation, the Thalassaemia Federation, the Republican Association of Hemophilia and women's amateur cycling club " Ladıes on Bıkes", the charity bike ride will be held on December 30. The cycling race will begin from the Azadliq Square and will end at the White City Boulevard - near the New Year tree. The bike ride stars at 14:00. All patients with hemophilia will receive holiday gifts.